MOST POPULAR LOCATION! QUIET SMALL COMMUNITY! LOT WITH PRIVACY! BEAUTIFUL BETTER-THAN-NEW HOME! TOP-RANKED SCHOOLS! GREAT PRICE FOR ALL!!! 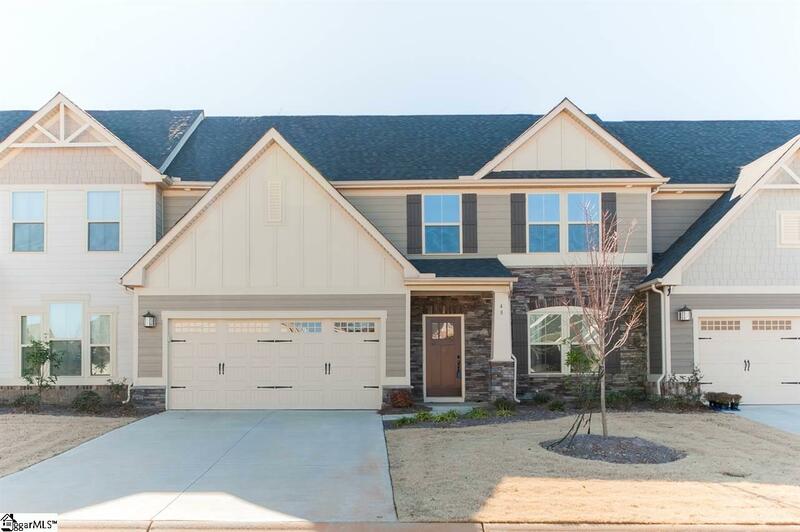 Situated in GREENVILLE'S most popular "Woodruff Road Area", this LOCATION is extremely convenient to places near and far (without traveling the main thoroughfare). Shopping, dining, workout facility & medical are all within a 5 minute drive, while one of Greenville's major shopping areas is further down about 10 minutes...and another 10 minutes can put you into BEAUTIFUL DOWNTOWN GREENVILLE! Access to I-385 or I-85 is easy from the Five Forks area to make Michelin, BMW and even Spartanburg a viable workplace. 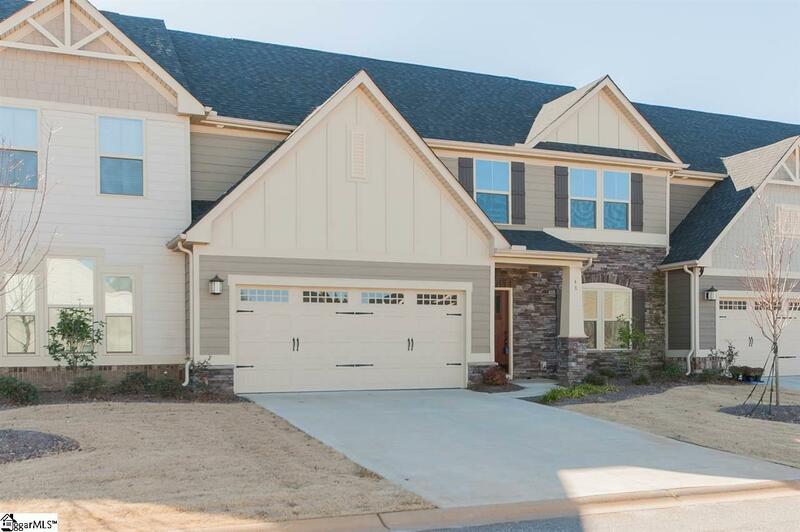 Newer community with attractive common areas and well- built homes. The lovely hardboard and stone home backs up to trees, giving privacy and natural greenery 8 months a year. 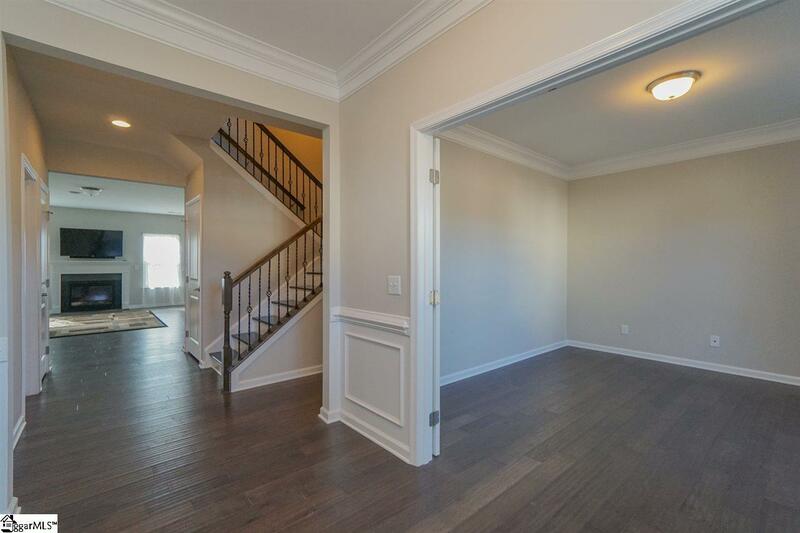 This home has a fabulous open living area with Master Bedroom suite plus a flex room with french doors which could be an office, music room or child's playroom all on the main level. There are beautiful wood floors with a huge open Family Room with gas log fireplace. The gourmet Kitchen has a huge walk-in pantry. Beautiful wood stair treads with wrought iron spindles lead to the 2nd floor. 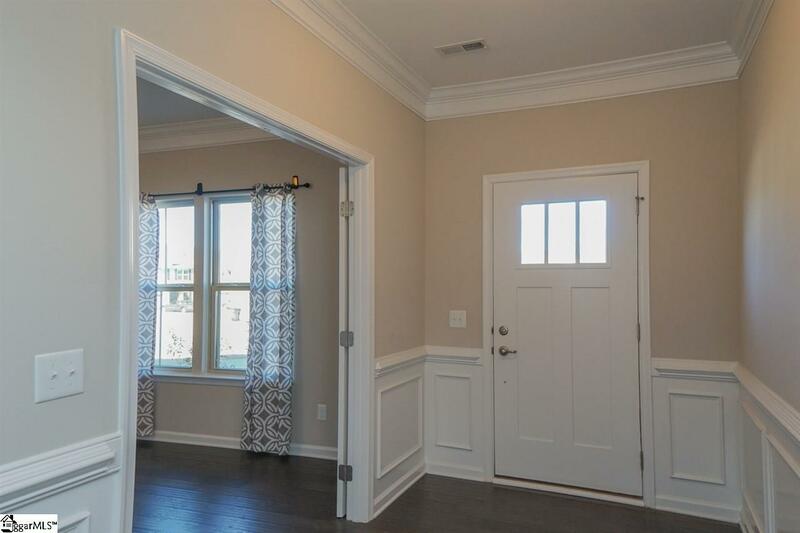 Upstairs features a bonus room, large 2nd and 3rd bedrooms (one with walk-in closet), with full bath, and wonderful, large walk-in storage. APPROXIMATELY $50,000 IN UPGRADES includes extended Morning Room, extended Master Bedroom with fully upgraded Master Bath with large soaking tub and separate shower, gas stove, hardwood flooring, "smart home" with Wi Fi system throughout (see pic), 2 NEW 4K-HDR TV's, Washer and Dryer, extended 17x14 Patio with convenient gas hookup and epoxy floors in garage. This lovely community is in an area of new and top-rated schools, great for your children or just for re-sale. This BETTER-THAN-NEW home with all the STATE OF THE ART upgrades is move-in condition and a fabulous buy for some lucky buyer. If SF is important to buyer, buyer must verify.